Information Insurance companies won’t give you! When I say this is a good policy, It may be for me but not you! When shopping for a car insurance policy, it’s helpful to know who is looking out for your bottom line. Independent agents and brokers often receive not only a sales commission, but also a supplemental commission, known as contingent commission, awarding them for selling a specific insurer s policy. According to a 2005 study, the most recent, insurers specializing in the personal lines sales of both home and auto insurance had relatively high contingent commissions averaging over 1% of premium. It found that 14 out of the top 20 car and home insurers used contingent commissions. These commissions come in two categories: one is for signing customers with a particular underwriter and thereby placing more business with that insurer, and profitability-based contingent commissions, for getting clients with a low loss ratio, which means individual premiums are greater than their claims.These incentives may lead some agents or brokers to recommend unnecessary or unhelpful coverage to consumers. Most insurers offer these commissions, so it s unlikely that the commission will have an impact on your agent’s recommendation. To protect you, ask about commissions and have prospective agents explain their recommendations. We have observed steady and moderate single-digit automobile rate increases since mid-2008, they have decreased marginally this year and premiums have reduced,but they have not reduced as fast as insurance companies increased them in the first place! In comparison with other types of insurance in this sector, insurers are typically able to implement price increases more quickly because of the short-tail nature of a policy, yet often don’t reduce them as fast when the market gets better. While rates increases vary, based on several factors, the cost of car insurance increased about 2.5% nationally in 2008, after falling in 2005, 2006 and 2007, according to government regulator statistics cited by the Insurance Information Institute.In part, the rate increases follow premium growth declines since 2003, which the report attributes to price competition among insurers and consumers purchasing less coverage because of tight budgets. The rises on the car and home owner premium’s from 2000 to 2003, which were precipitated by investment losses by the major insurance underwriters. This could be happening again in the wake of the subprime crisis and other troubling economic news. The rest of the United Kingdom has to tighten their belts when investment opportunities weaken, but insurers just tie the noose around policyholder’s necks to keep their income high. Not very good credit rating? That will cost you. Consumers who have blemished credit histories could end up paying more for their car insurance even if they re existing policyholders who have always been on time with their payments but end up falling into a rough financial patch.Most insurers have for many years used credit information, along with other factors, to determine risk and the premium paid. It s estimated that at least 90% of insurers use credit history in their underwriting, according to the Insurance Information Institute. Although consumer advocates argue that it unfairly penalizes the poor, it can also bite the middle class. The problem is further exaggerated by the recent financial market meltdown and recession, which have hammered credit scores of middle-class consumers.Since many insurers do factor in credit history, consumers should get their credit report and check them for errors before shopping for insurance. How do we set premiums? That’s for us to know and you to find out. Many factors impact premium disparities and one of them is a policyholder’s location.What have really muddied the waters are the formulas used to set premiums for individuals. In general, most insurers sort customers into pricing tiers (which often range from two to four) based on where they live, their age and their driving record. But more variables have been added to the mix, including credit history, home ownership and limits on past policies. And since each insurer interprets these variables differently, it’s even tougher for consumers to get a handle on the system. Total loss your car? It will be hard to collect its full value . . . Policyholders may be surprised that insurance companies often don’t get their valuations from a standard source.When a car is total lossed, insurance companies often get their valuations from claims-servicing companies which consult proprietary databases to assess valuation. Glasses guide, on the other hand, uses transaction data, which is often higher and some consider this a better way to get more value from a totaled vehicle.If your car is totaled, you don t need to accept your insurer s first offer. Go to AutoTrader.co.uk to find better comparisons, to verify their price.. . . .
And we are more likely to declare your car a total loss. 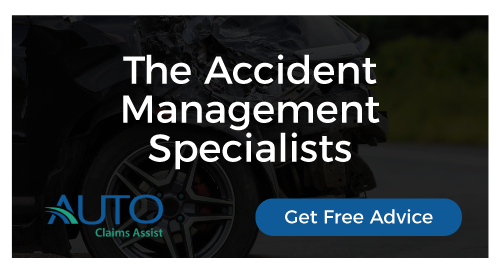 Given the haircut you’re likely to take when replacing your total loss car; many policyholders would prefer to have repairs covered in all but the most severe accidents. But that’s becoming increasingly difficult. According to the trade magazine Collision Repair Industry Insight, the percentage of damaged cars declared a total loss by insurers jumped to between 20% and 22% in 2009, up from 16% in 2003 and 7% in 1995. And as mass-market cars get more high tech, that number continues to increase since the growing number of electronic components and passive restraints, such as airbags, can make for difficult and expensive repairs. What constitutes a total loss? An insurers rule of thumb is to deem a car a total loss when repairs would exceed 70% of the vehicle s value, the threshold that could be easily surpassed with a dented wing and bumper with a few deployed airbags. And if your car’s chassis is damaged, it can remain a safety hazard even when repaired. If the damage is limited to a few minor, albeit expensive, components, the policyholder can challenge the settlement amount under the terms of the appraisal cost. Choose carefully as your Repair Facility may work for us. The car insurance industry has long relied on approved-repair programs with insurers maintaining lists of recommended repair facilities. Some insurers have taken the relationship a step further. Repair Network includes repair facilities throughout the country that have agreed to provide repairs to Insurance customers and claimants. Whether it’s a network of preferred providers or outright ownership, such coziness between insurers and body shops makes consumer advocates nervous. It lets the insurers take too much control over the repair process. And when you have pressure to keep costs low, you may start to see shortcuts in repairs. Insurers say that it’s program allows it to provide recommendations to customers and claimants after an accident and helps speed up the claims process by giving the customer a one-stop shop for estimates and repairs that they guarantee. nded shop. If Some insurers, customers have the choice. So should you? It’s convenient, and in some cases policyholders who don’t take their cars there can get their Excess increased or a percentage is charged. Staying loyal might not mean much . . . Some insurance companies offer discounts to long-term customers, but beyond that it is becoming increasingly difficult to pinpoint the benefit of sticking to one insurance company.As more insurers adopt elaborately-tiered pricing strategies, rates may differ dramatically from company to company. As your circumstances change, it may not pay to stay. Individuals who are looking for the lowest price on a policy typically benefit by comparison-shopping, the recommendation is that customers let their insurer know that they are starting to shop around and that they inform the insurers they call for quotes as well. Start by getting online quotes.Before making a switch, consider that another benefit of staying put is the relationship that you may have developed with an agent. That’s where the loyalty pays off. If you work over a long period of time with insurance agents, [he or she] should and most of the time does value you as a client and has a vested interest to take care of [you].. . . . But be careful switching insurers it could cost you. Many consumers think that when they switch insurers, dropping the old insurer is as simple as stopping payment. Not so. If you don’t pay a bill for the next term, chances are your insurer won’t simply cancel the policy it may also report your non-payment to the credit bureaus. (Most insurers are required to give you a certain number of days notice before cancellation.) Also, your new insurer will see a cancellation in your history, which could mean you, will pay higher rates or be declined.To avoid the issue, get the proper documentation. Make sure the timing is right that the ending date of your old policy coincides with the start date of your new one.